Our Hydro-Pro Flyboard hose is a heavy duty layflat hose used in hydro propelled water sport activities. The hose is a high quality Nitrile-synthetic rubber which is extruded through the weave giving a ‘Unified’ construction. 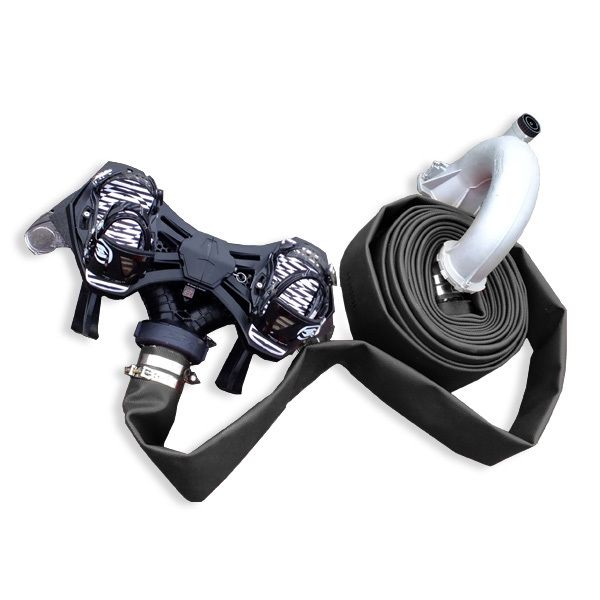 External ribs offer support to the hose when it is at high pressure giving the Flyboard rider more control, making it a very popular option for training. The unified construction eliminates the potential for delamination that traditionally manufactured hoses suffer from when under severe stress during operation. The smooth inner surface and low friction loss for a long service life with minimal maintenance requirements. Absorbs no moisture and requires no drying after use. The Hydro-Pro Flyboard hose is characterised by its heavy duty, high abrasion resistance and extremely long service life. It is a flexible and kink resistant structure produced with very low twist. The Hydro-Pro Flyboard hose works as an umbilical connection to the Flyboard from the power source usually a Jet Ski. 20m and 25m lengths available from stock. Other lengths available upon request. The Hydro-Pro Flyboard hose has a working temperature range of -30°C to +80°C. The 110mm diameter hose has a weight per metre of 1350g and a burst pressure of 40 bar. Our Hydro-Pro XF Flyboard hose is a heavy duty layflat hose used in hydro propelled water sport activities. The hose is a high quality Nitrile-synthetic rubber which is extruded through the weave giving a ‘Unified’ construction. The Hydro-Pro XF Flyboard hose is characterised by its heavy duty, high abrasion resistance and extremely long service life. It is a flexible and kink resistant structure produced with very low twist. The Hydro-Pro XF Flyboard hose works as an umbilical connection to the Flyboard from the power source usually a Jet Ski. The Hydro-Pro XF Flyboard hose has a working temperature range of -30°C to +80°C. 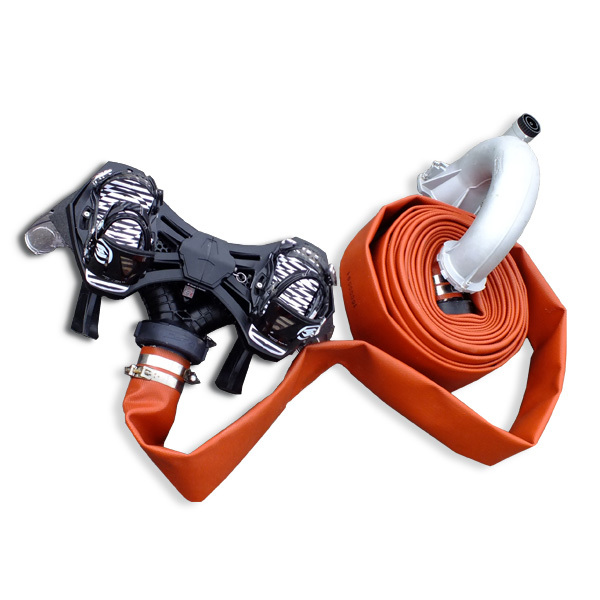 The 110mm diameter hose has a weight per metre of 950g and a burst pressure of 40 bar.